A family gathering place didn’t feel pulled together. 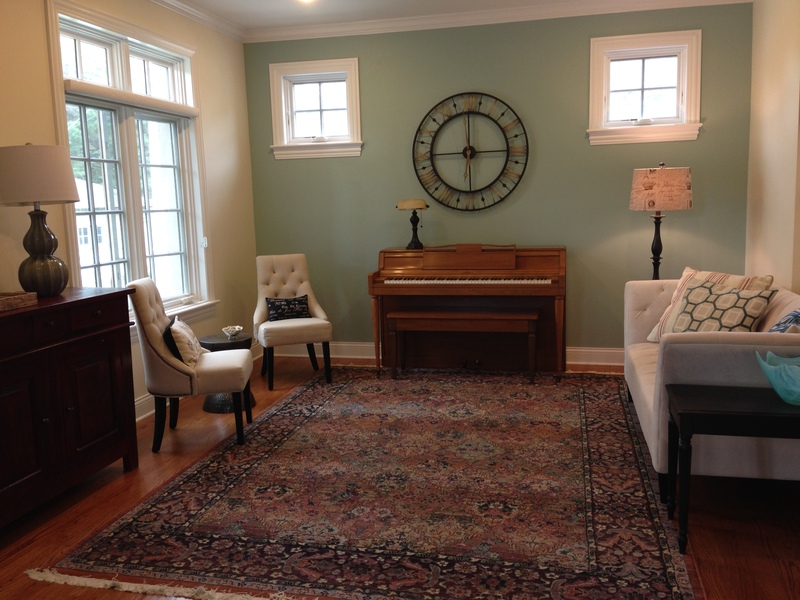 We moved the armoire to another room and made the piano the focal point, in addition to painting the wall a soft color. 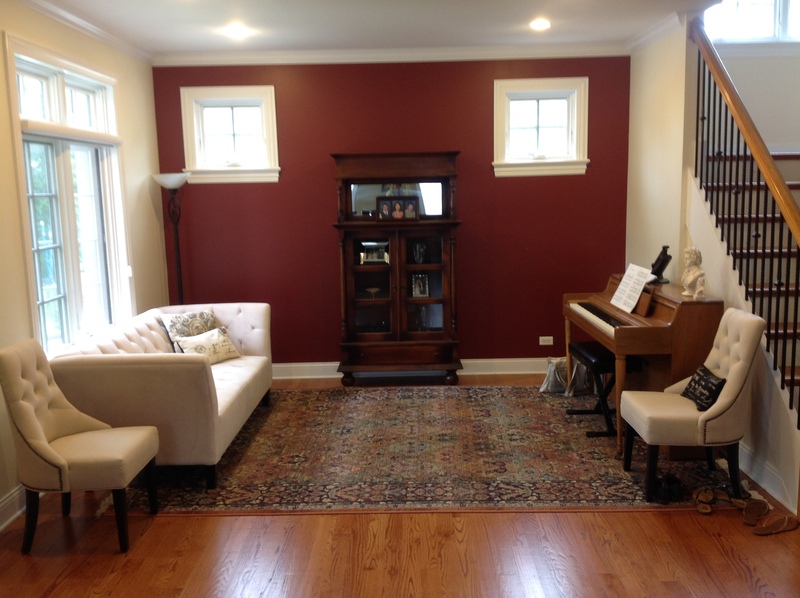 A different furniture arrangement and new accessories helped tie everything together.